Welcome to another CCLemon99 Top Seven List! This time around I'm going to reveal my Tokusatsu toy wish list. Given the toyetic nature of Tokusatsu shows, it's pretty rare for something shown on screen *not* to have a toy. However, there are a handful of occasions where we missed out on something potentially great. I'm sure I'm missing some things out there, but these are the big ones that I could think of. I reviewed Giga Bitus recently. While I enjoyed the toy that was released...I kinda wish there was some kind of full scale release to hold both DX Chogokin Giga Phoenix and DX Chogokin Giga Rhinos. I might be alone on this one. I actually really like the normal versions of the Zyuranger's Legendary Weapons. That said, they might be just a little bit too drab for toy versions to be necessary. We did get the transformed weapons at least. Hellfriede, on the otherhand, should have definitely gotten a toy. If you were fighting your younger brother in the backyard, you obviously were re-enacting the Tyrannoranger vs Dragonranger fight. It's pointless without Hellfriede! I was disappointed when I learned that this toy doesn't exist. The seventeenth episode of Kakuranger is one of my absolute favorite episodes of the series. It explored an idea that I wish was revisited more than just this once in the series--revenge. Yokai Amikiri is after Saizo because his ancestor cut off her arm. 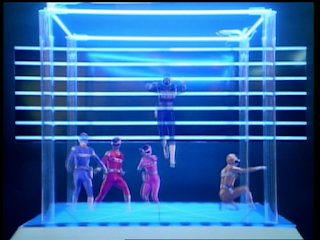 It resulted in one of the most striking and memorable battles in Sentai history. I might be only one of three people who care, but I would have liked the final two iterations of the King Stone. Roborider had those cool mechanic gears while Biorider somehow managed to make the King Stone whole again. While the DX Sunriser isn't perfect, it would have been nice to have DX versions of the other two to go along with it. Kakuranger has an already great toyline, so this one breaks my heart in a big way. So Bandai definitely had plans for this one. What made them back out is anyone's guess. 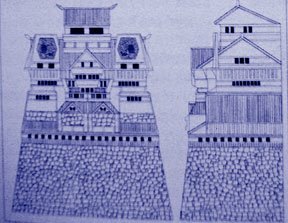 It could be that the Wind Illusion Castle is hardly ever seen in the series. It could also be that, from a series perspective, Muteki Shogun was usually seen busting through the roof. Based on the concept drawings, I can't even say that this would have been that large of a toy. 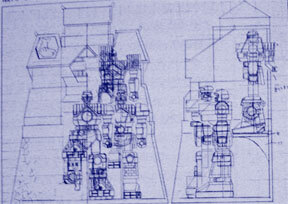 DX Muteki Shogun isn't all that large, and the concept shows that it would have done a clever job of storing the Jusho within. This toy doesn't appear to be that much less than what King Pyramider was just a year later. I'm sure some more fun features could have been tacked on as well... This likely would have been one of my favorite Kakuranger toys had it been released. *sigh* I know what you're thinking. Whenever Bandai releases or announces new Sunvulcan toys, it usually kills the line that it's from. DX Ranger Keys (non-Web Exclusive) and SHFiguarts are two examples where some of the final toys released were from Sunvulcan. Well...this is one that I kinda hope comes into fruition. A 1981 release of this likely wouldn't have been all that special. Given the Goggle Brace and Dyna Brace that we ended up getting, it probably would have only focused on VulEagle. You know what though, so what? It would have been *something* much in the same that the Goggle Brace and Dyna Brace are *something* as well. This is where the Super Sentai Artisan line would come in. How hard would it be to make this happen? It's an easy design that can utilize a basic faceplate swap system. It's also the only major Sentai Henshin item that doesn't friggin' have any kind of toy representation. While I would love to have a toy from 1981 Popy, a 2018 Premium Bandai version would be just as welcome in my collection. Those are some toys that I could think of off the top of my head. What non-existent toys do you long to see become a reality? Let me know! I'd honestly love to hear what everyone thinks. Dream toys? Cancelled toys? Impossibly limited quantities? Let's hear them! It showed up only a few times that weren't Muteki Shogun related. I think budget may have been the biggest issue since the interior was only a gigantic black room. Yeah, Kakuranger was virtually set-free. The cockpits of the Choninju were also pretty much black rooms with their symbol and the crystal. There was also the occasional Yokai hangout. They didn't use sets much because? It was probably cheaper and easier to shoot on location. I agree that Lord Zedd sucked...but the villain toys never really stopped. Heh. I'm still surprised that there hasn't been even a teaser of a Sunvulcan brace. They have to be planning to do one, c'mon. I don't think a lot of the toys I'd want to see are so impossible, but they still wouldn't do them. My main obsession is basically villain figures. Figuarts would've been the ideal, but I'd even take freaking soft vinyl figures of characters like Birugenia, Kaura, Yamimaru, Super Giluke...and so on. My other big thing was wanting Charawheels of the '80s Sentai teams' motorcycles and trucks. The toys from the time kinda stunk. 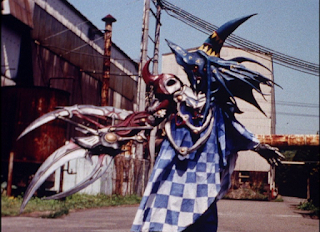 There's one dream Premium Bandai toy of mine that I think is impossible, and probably why they never did a Hellfried -- I'd love a show-looking Seijuu-ken from Gingaman, but since it's so actual-weapony looking, they wouldn't do it. I just think the Seijuu-ken is so cool. 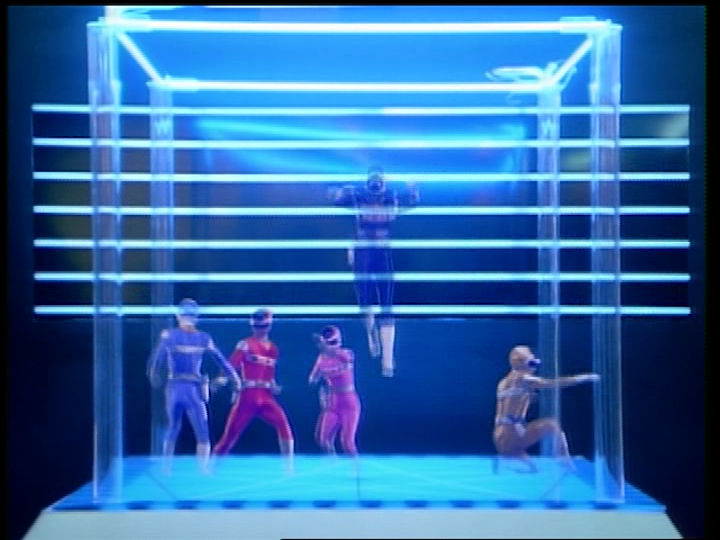 I love how the show surrounds it with an importance, making it like the toku Excalibur. The Vulcan Brace would be the easiest thing in the world to design and shove into a box for some absurd price. I really wish villain Figuarts became more of a thing. Outside of the Shocker Combatmen, Shadowmoon, and Doras, there really isn't a whole lot. I would looooove a Birugenia Figuart. I kinda get bummed at the ones they previewed but never released...all those glorious Metal Hero Figuarts... Mad Gallant, Spielban, Metalder, Janperson, etc. Come to think of it, the only Metal Hero villain we did get was Black Beet. Feh. Bandai is wasting the Figuarts line on Disney crap. Does the world really need another Chewbacca figure?? Sadly, the only way I think a legit Seijuu-ken could happen is if Bandai America did it first. And...well...yeah... A prop-maker friend of a friend owns a hero prop, though. So copies could potentially happen somewhere down the line.